Alostel Ltd was established in 1996. Our field of activity – cargo lifting and lashing devices, loading/lashing/securing services on all types of transport. For more than 20 years, we have rendered services to the largest Estonian and foreign customers, developing our reputation of a substantial and reliable partner. 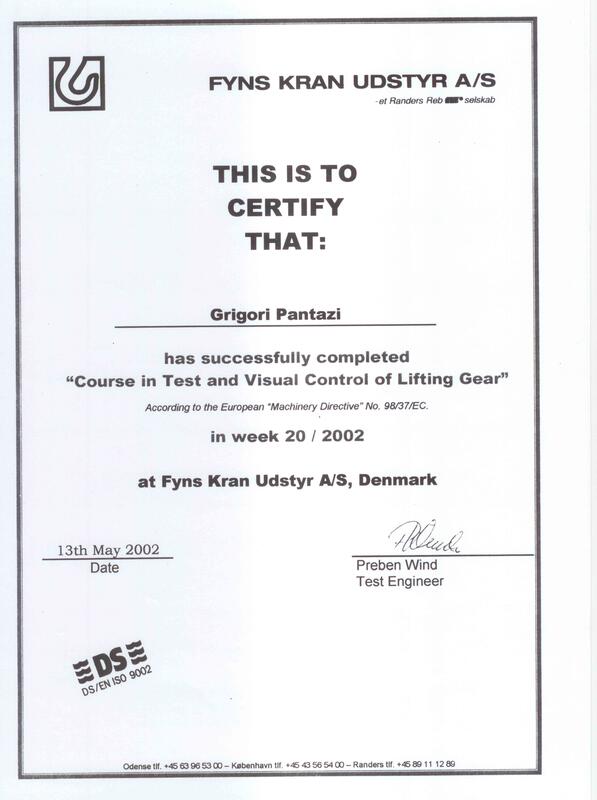 Skilled experts of our Company esteem and enjoy executing their work. They will always find an optimal and cost effective way to execute your order. High responsibility, personal approach to each customer, and up-to- date technical equipment ensure our Company as your reliable partner. 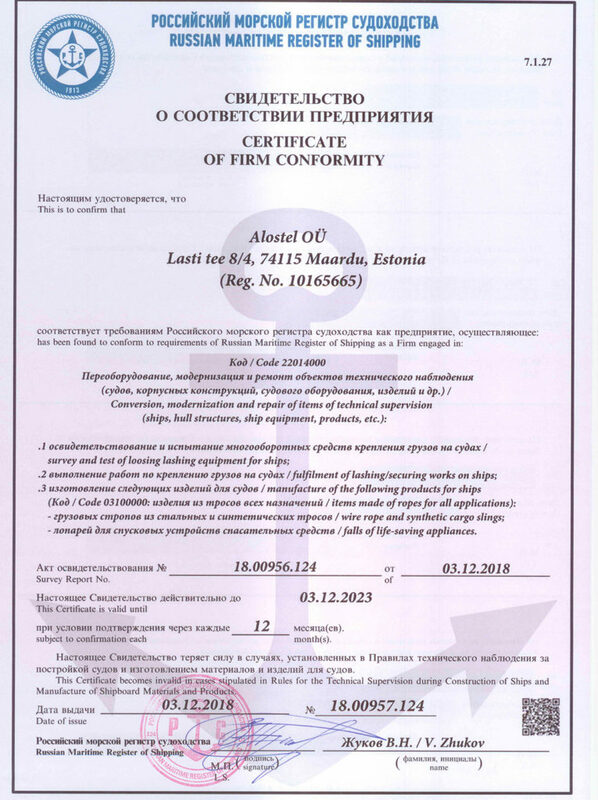 Alostel OÜ have Certificate of Compliance issued by Russian Maritime Register of Shipping. Materials in use: chain/wire lashings, wire ropes, weblashings, steel strapping, turnbuckles, wire rope clips, shackles, lashing eyes, D-rings, stoppers, tarpaulins, wood dunnage and wood for securing with ISPM 15 stamps. Available in evenings, nights, weekends.